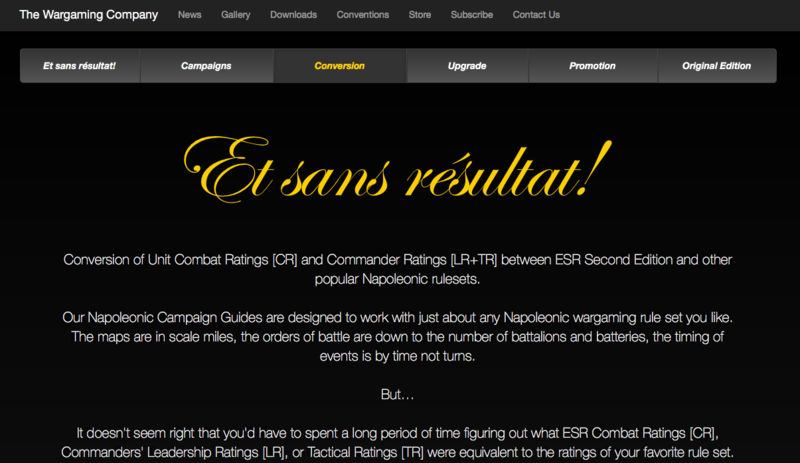 The Commander and Unit ratings we include are based on Et sans résultat! 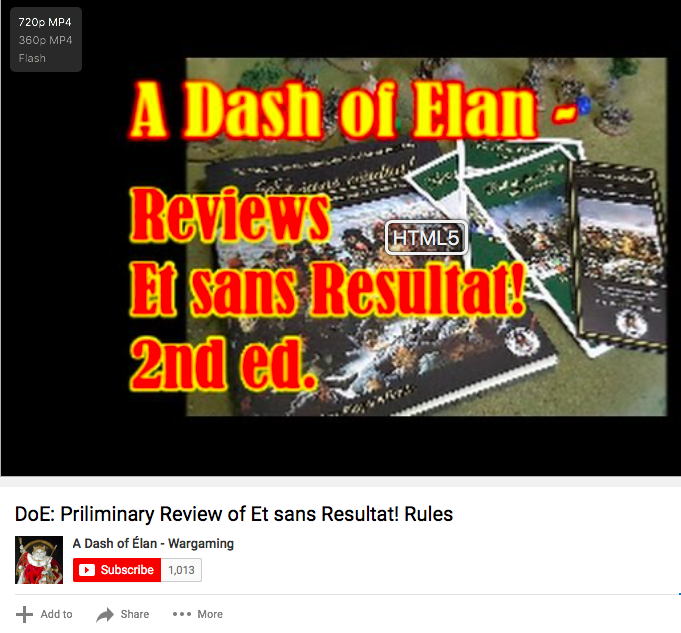 Second Edition, but we even maintain a website to help you convert ESR's ratings to other popular systems. 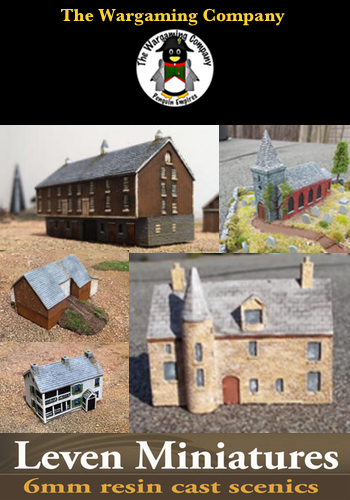 DoE’s First Look At ESR! 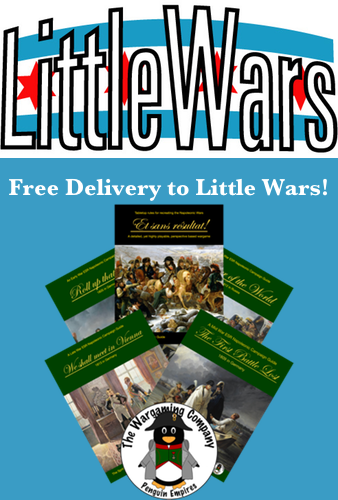 The Wargaming Company Store will deliver your order for free to Little Wars but you'll need to order by Monday! 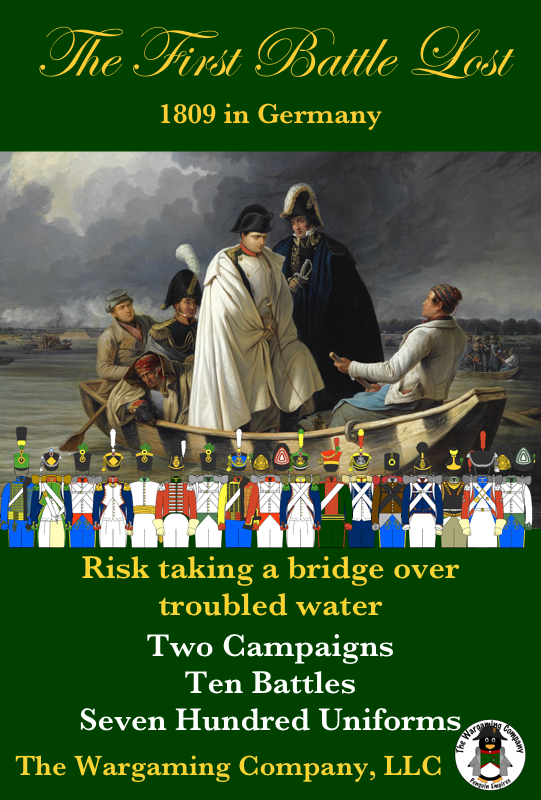 The First Battle Lost – Now Shipping!